You can fill your child's Easter basket with lots of conventional candy, plastic toys and disposable items. But why not make eco-friendly and ethical Easter choices this year? 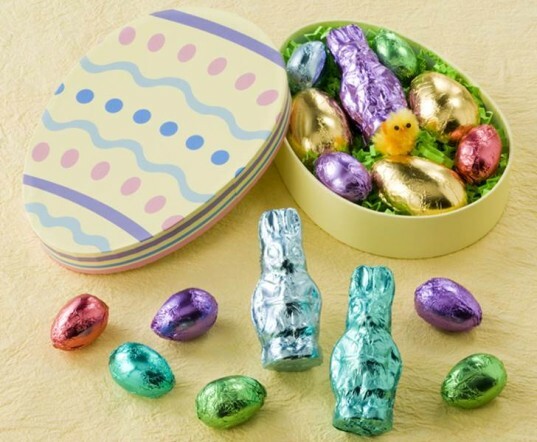 There are plenty of eco-minded, organic and 100% adorable Easter goodies to choose from if you ditch mainstream fare. 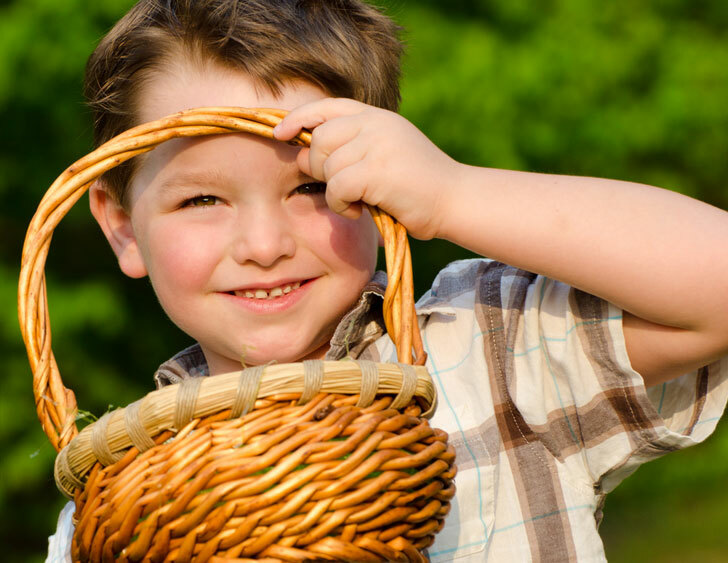 Check out how to green your child's Easter basket with our suggestions of put 'this' not 'that' in your little bunny's basket. 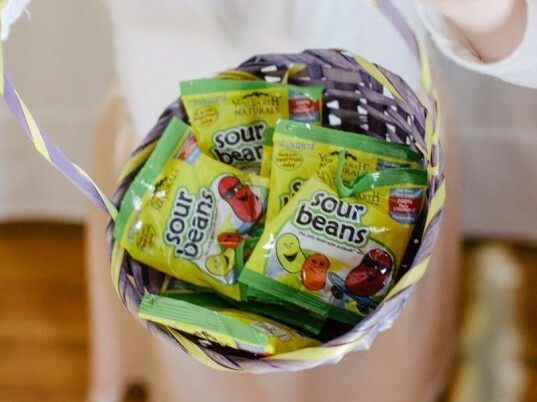 Unlike most conventional jelly beans, YumEarth treats, including their tasty sour beans are made with all-natural ingredients, no artificial colors or artificial dyes, no gluten, no peanuts, and no tree-nuts and are made with real fruit juice for great flavor without the icky chemicals. Did you know that almost all conventional marshmallows are made with gelatin – an animal byproduct. If you buy Peeps, you’re supporting animal abuse and of course, they’re non-vegan. Instead try Veeps, a vegan, better marshmallow alternative. These little hand-cut Veeps are super cute in shapes of bunnies and chicks, made with all-vegan ingredients and are coated with sugar naturally colored with beta carotine. Check out more vegan Easter candy ideas! These adorable handmade drawstring goodie bags look like tiny rabbits, are 100% reusable year-after-year, made with high quality cotton fabric — and they are perfect for holding tiny treats or small toys for your Easter egg hunt or Easter basket. I hope you know that giving real animals to your child on Easter is a horrid idea. Giving conventional cotton bunnies is also not the best idea, as conventional cotton poses a greater environmental threat than organic cotton. This year go organic with a cute, handmade stuffed bunny. The bunnies at Etsy shop From the Seed are a terrific bet. 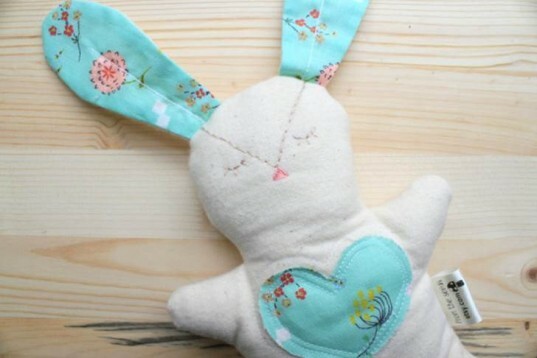 Made with natural quilters cotton, a layer of organic cotton batting and stuffed with fluffy organic cotton, each bunny is totally unique and safe, even for babies. Aim for at least one healthier Easter treat in your child’s basket! The Iced Lemon Cookie ZBars offer sweetness without all the junk. This organic, baked whole grain snack is made with a nutritious blend of carbohydrates, fiber, protein, and fat to maintain kids’ energy, so kids can stay powered up for a long Easter egg hunt, or whatever the day brings. Made with zero high fructose corn syrup, hydrogenated oils, synthetic preservatives, artificial flavors and zero grams trans fats. It’s easy to buy huge bulk bags of conventional chocolate Easter candy just about anywhere, but it’s far from ethical to do so. Most chocolate in the world, including the chocolates made by Hershey, is made with shady child labor practices – meaning, if you go conventional, Easter may be sweet for your child, but not so sweet for young children around the world. You have better choices. Mama Ganache has a wide selection of Fair Trade, organic and even vegan chocolates to choose from this Easter. Did you know that almost all conventional marshmallows are made with gelatin - an animal byproduct. If you buy Peeps, you're supporting animal abuse and of course, they're non-vegan. Instead try Veeps, a vegan, better marshmallow alternative. 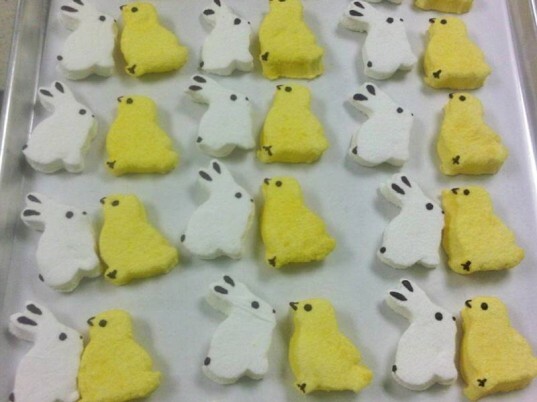 These little hand-cut Veeps are super cute in shapes of bunnies and chicks, made with all-vegan ingredients and are coated with sugar naturally colored with beta carotine. Check out more vegan Easter candy ideas! 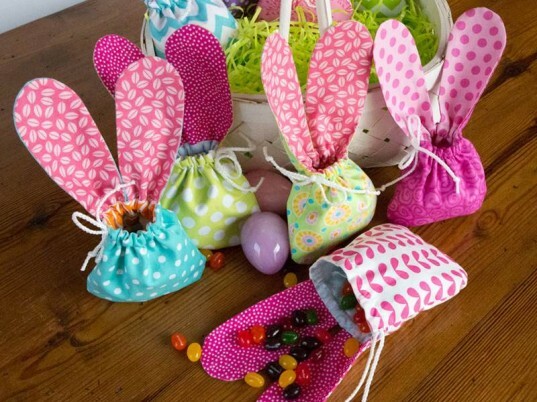 These adorable handmade drawstring goodie bags look like tiny rabbits, and they are 100% reusable year-after-year, made with high quality cotton fabric, they are perfect for holding tiny treats or small toys for your Easter egg hunt or Easter basket. Aim for at least one healthier Easter treat in your child's basket! 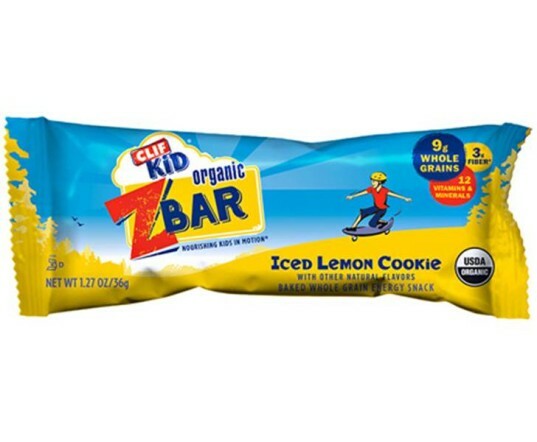 The Iced Lemon Cookie ZBars offer sweetness without all the junk. This organic, baked whole grain snack is made with a nutritious blend of carbohydrates, fiber, protein, and fat to maintain kids' energy, so kids can stay powered up for a long Easter egg hunt, or whatever the day brings. Made with zero high fructose corn syrup, hydrogenated oils, synthetic preservatives, artificial flavors and zero grams trans fats. It's easy to buy huge bulk bags of conventional chocolate Easter candy just about anywhere, but it's far from ethical to do so. Most chocolate in the world, including the chocolates made by Hershey, is made with shady child labor practices - meaning, if you go conventional, Easter may be sweet for your child, but not so sweet for young children around the world. You have better choices. Mama Ganache has a wide selection of Fair Trade, organic and even vegan chocolates to choose from this Easter.